Discussion in 'General 4Runner Talk' started by rockybird, Jul 14, 2018. I think this car is perfect for dogs, but since I’m allergic to them, here’s my 3 day old 4runner TRD pro with my bird, Zeek. Ajmogen, HoBoDanny, Mass4runner and 13 others like this. 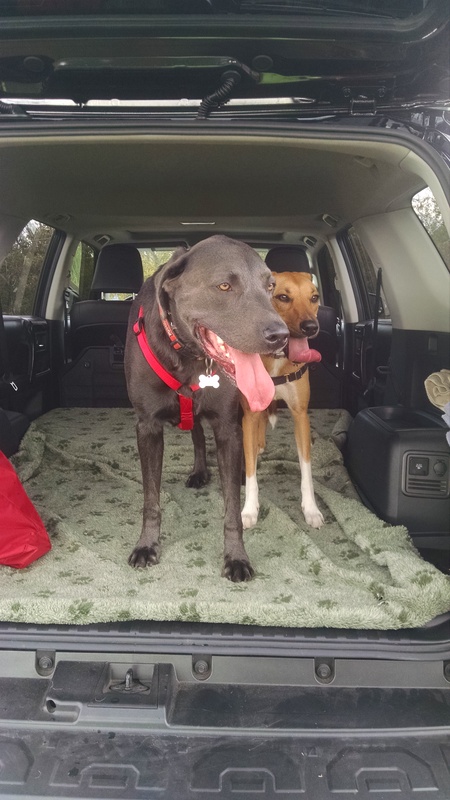 Same photo as my Avatar...that's Zinc (gray) and Ellie (tan) after a day of hiking. HoBoDanny, Strandskov, jgcaps and 7 others like this. @thirdyota Great looking dogs! They look happily tired! 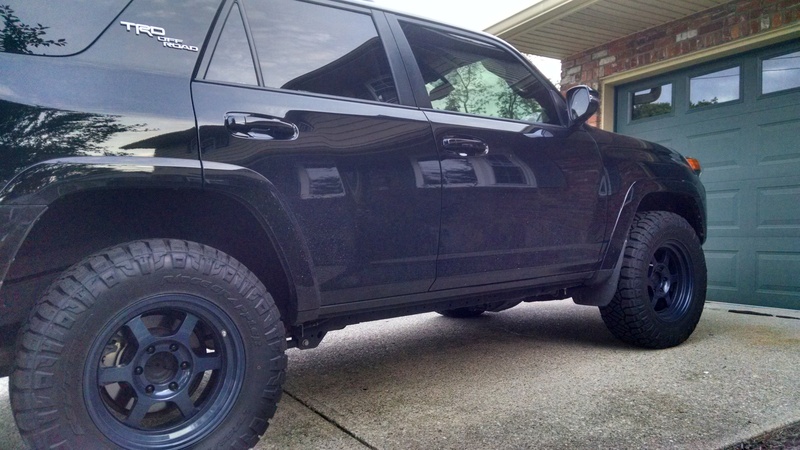 Beautiful 4runner! Sanchezamed.as@gmail, jgcaps, Riding Dirty and 1 other person like this. HoBoDanny, Strandskov, WallyT4R and 8 others like this. HoBoDanny, Mass4runner, Strandskov and 10 others like this. Here's my boy Cosmo, he loves going for a ride. HoBoDanny, SCMountaineer, Mass4runner and 10 others like this. I don’t have a T4R yet but I hope to soon. Frank can hardly wait. HoBoDanny, Sanchezamed.as@gmail, Mass4runner and 5 others like this. @Ethanol Red LOL Frank looks thrilled! Seriously, he’s very cute. Strandskov and Ethanol Red like this. Strandskov, rockybird [OP] and SlvrSlug like this. I miss my old girl. Mass4runner, Strandskov, thirdyota and 2 others like this. Here is Solo and Faith! They love the 4Runner!! HoBoDanny, Strandskov, WallyT4R and 6 others like this. Yeah going there tomorrow night as well. Wish they allowed overnight camping. jgcaps and rockybird [OP] like this. Double D's............Dutch (gray ghost) and Daisy. HoBoDanny, Strandskov, WallyT4R and 7 others like this. Hey all, here is my Great Dane, Gus, scoping things out from the back of our new family/dog hauler! He loves it. I have a Raingler nets full divider and a canvasback (on order) to make things a little more puppy proof/safer. HoBoDanny, jester243, Strandskov and 9 others like this. @Bluewho Gus is a great looking dog! He actually makes he 4runner look small! @zbtoyota Ollie and Max are so cute! What kind of dogs are they? Great looking 4runner btw. Strandskov and Bluewho like this. Strandskov, rockybird [OP] and Bob like this. Ozzie Bo Bozzie got a bad haircut so we got him a new 4Runner. Short hair, don’t care. HoBoDanny, jester243, Strandskov and 4 others like this. After hike in North Ga.
HoBoDanny, jester243, Strandskov and 2 others like this. Unfortunately...mine does not ride in the 4Runner. 1. She’d last 30 seconds before finding the most inaccessible place to hide. HoBoDanny, jester243, Strandskov and 3 others like this. My Bub Streaker, had a old 4R he would just not get out of after mudding. I miss my dog! HoBoDanny, jester243, Strandskov and 1 other person like this. HoBoDanny, jester243, jgcaps and 2 others like this. HoBoDanny, jester243, jgcaps and 1 other person like this. HoBoDanny, Mass4runner, Strandskov and 2 others like this. HoBoDanny, Strandskov, jgcaps and 1 other person like this. Great thread! My dobie Max thinks the Runner is HIS truck. I'll get a photo and post up.